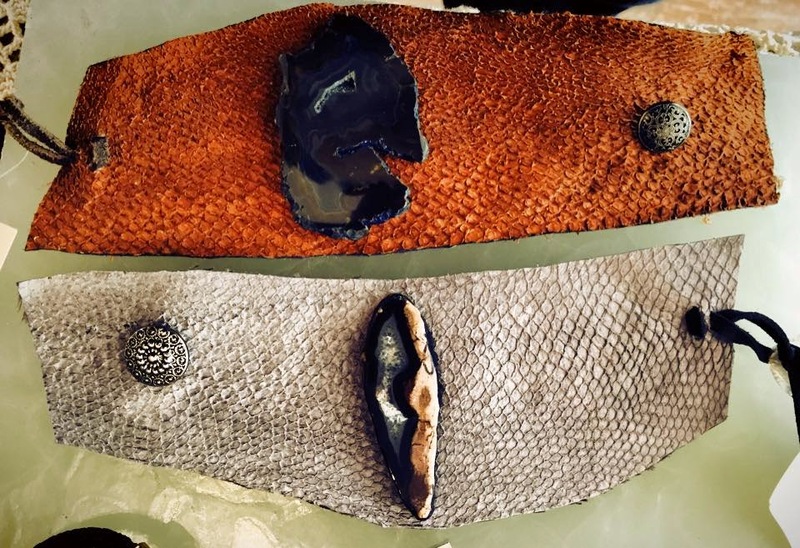 Fish leather is an eco-friendly alternative to exotic leathers such as crocodile and snake that threaten endangered species. The leather has a unique look, yet you’ll find that the strength and smell of the material is comparable to commonly used land-based leathers. 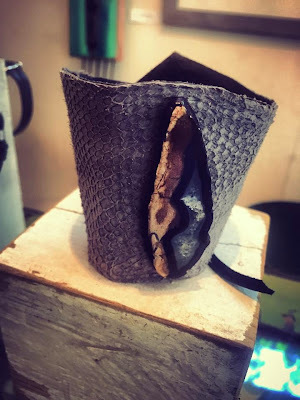 In strength, it compares to sheep skin and is just as soft. 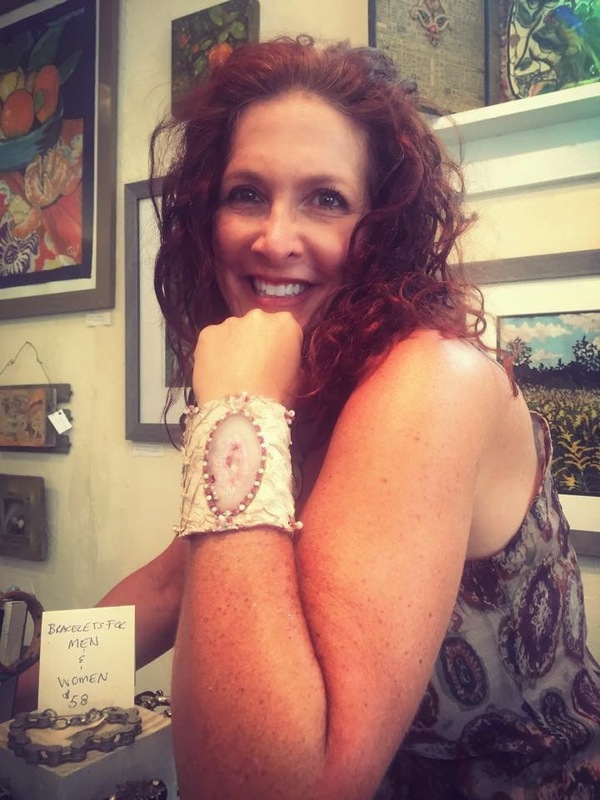 Come by Amiro Art & Found to see more of Lori's unique creations.